After long waiting a period of more than 3 months, Google kept its promise of offering video calling app. This 15th August is one of the best days in the history of Google as well as its numerous users. This day marked the launch of video calling app by Google i.e., DUO. 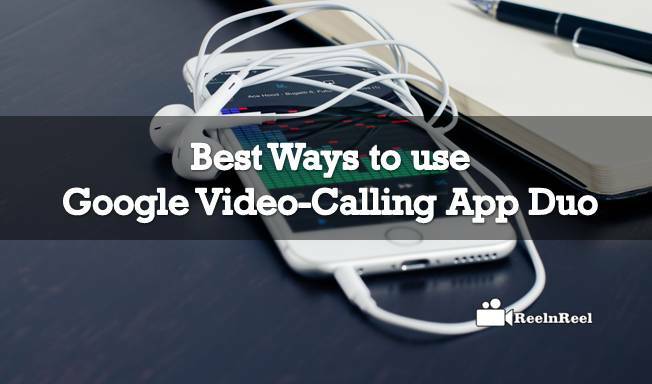 The Google Video-Calling App Duo will give the best experience than compared to other apps. The big bang comes with a catch. The facility is immediately available for users in select countries (Google promises to extend the facility to rest of the world very soon). There is another limitation for DUO i.e., the video call can be connected to two persons (one to one) but both the persons should have this app installed on their smartphone. Of course, Google has been able to offer this app for both Android & iOS as well. Initial reports indicated that the app is the super duper hit in view of the simple procedures involved in installation and usage of this app. The app is mobile number based and does not have separate user id or password. In view of simplicity offered by DUO, the app could lead the leaderboard in both Android & iOS. • Competitors for DUO (from Google) include Messenger (from FB), FaceTime (from Apple) & Skype (Microsoft). • While Duo supports platforms like (iOS & Android), Skype beats the competition as it is supporting maximum platforms including Android, Windows 10, Windows Phone, Blackberry, Amazon Fire, Linux, macOS, TVs, Xbox One etc. • DUO is not offering group video calling whereas Skype & Messenger are able to offer this feature. • DUO beating the competition with its shortly coming feature of ‘voice only calls’. At the first instance, Google placed the app (Duo) at the basic stage but the company has been able to substantiate its action. Really Duo is very easy to operate and the downloading, as well as operation, is hassle-free. As the initial reports gave huge thumbs up for the app, there are increased expectations about the modifications to the app in the time to come.